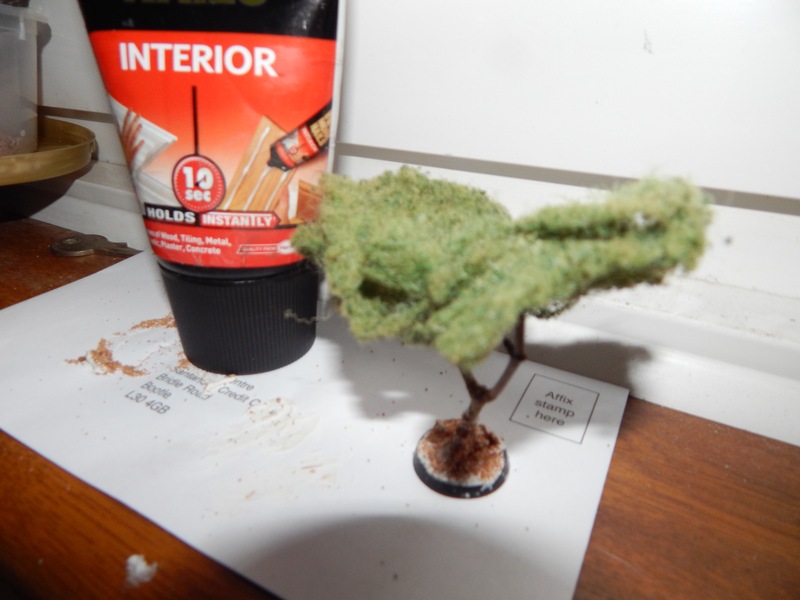 White Glue Twig to Base and add sand – set aside to dry. Distress the scourer and arrange onto twig in desired fashion attach with superglue. Leave aside to dry completely ready to be primed for painting. 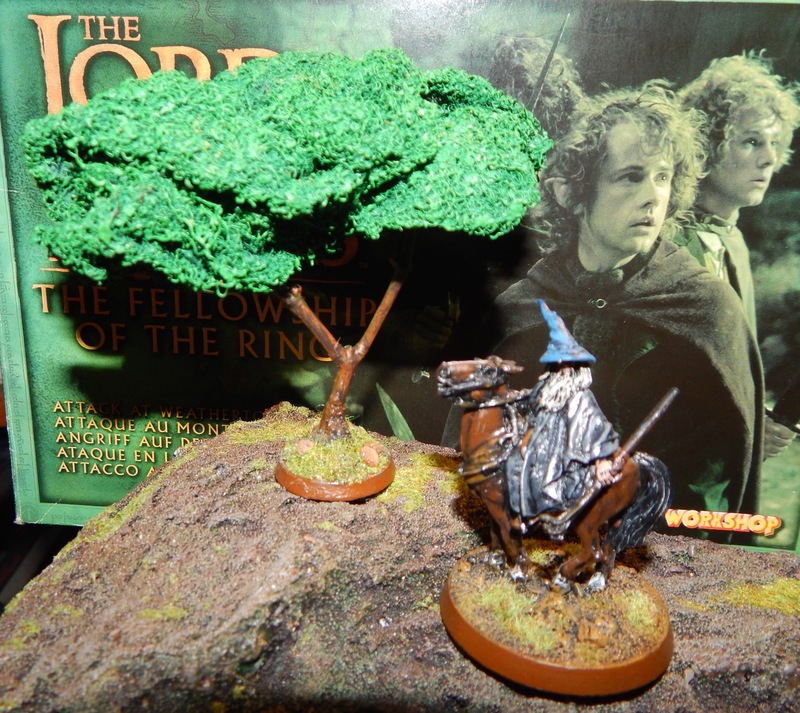 Next step will be to continue painting trunk and leaves and some more work to the base. Base will need some flock and some tonal variation to the soil/stones, trunk might get a bit more brushwork and I may trim the foliage and possibly add some blossom.